As you may or may not have noticed, though, I’ve broken my rule. I am completely addicted to Jamberry nail wraps. And, much like a drug addict, I must find a way to fund my new addiction… so the most logical option was to become a consultant so I can buy the products at a discount and offset some of the cost by drawing others down the path of addiction with me. So there it is. My truth. As a mom with a 2 year old and a 4 year old, I don’t have time to mess with my nails. I don’t have time to drain painting them, only to smudge them minutes later or chip them the next day. And I don’t have money to blow by going to the nail salon. Even so, I have always loved having cute nails. Once upon a time, I WOULD go to the nail salon. And I went through a phase where I constantly kept my nails up at home, too. Of course, all of that was pre-children. If you’ve ever had kids, you are all too familiar with the stage of life I’m currently in… the “hold on for dear life and pray no one dies” phase. My fingernails are barely an afterthought. 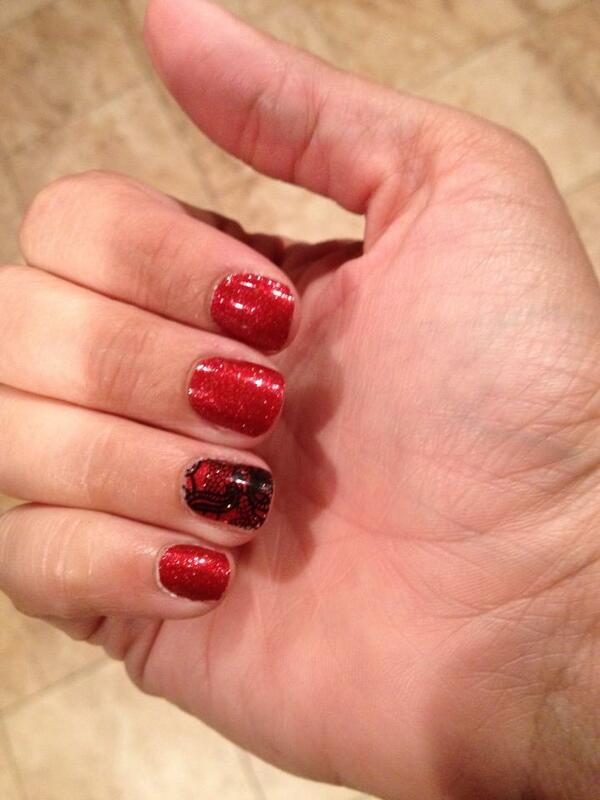 So when Jamberry nail wraps were introduced to me, I was absolutely giddy at the thought… cute nails? That LAST?! Heck yes. Sign me up! You don’t have a flat iron or a curling iron? Nope, my hair curls naturally and I never straighten it, so I don’t have any hair appliances at all! That way, you could apply your nails without having to hold a blow dryer. I think that Walmart sells mini heaters, too.